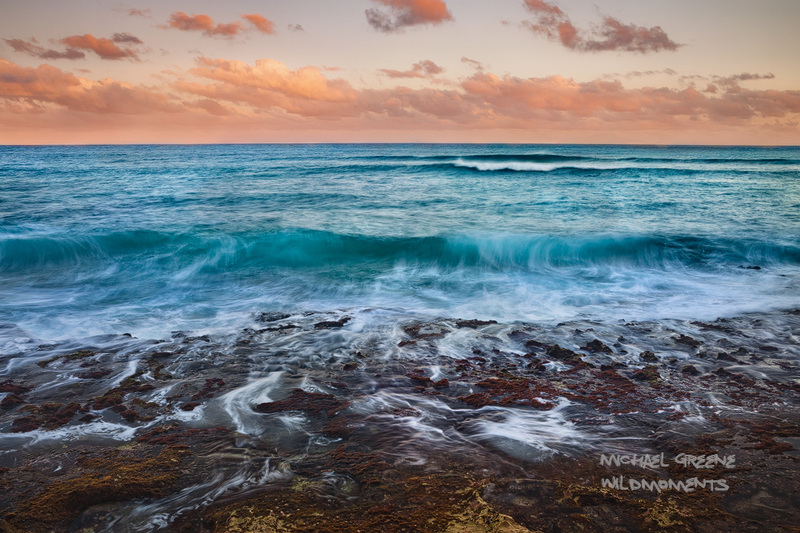 I enjoyed timing the sunset waves splashing over tide pools in this intimate cove near Lihue, Hawaii. I discovered this scene during a pleasant hike along the coast. Photo © copyright by Michael Greene.